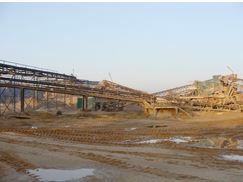 In this long-established quarry the first conveyor after the crusher is only 18m long, meaning that it cycles very quickly. This, combined with the high abrasiveness of the material, was necessitating its replacement every two weeks. The client was counting on an increased conveyor belt lifetime. The quarry managers were wary of trying a new solution, having had many failures in the past, but our engineers presented specifications and performance calculations that persuaded them to try Dunlop Trioflex 500/3 6+2 RS 1000mm. 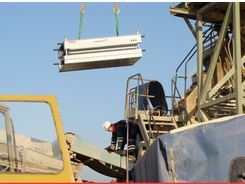 Access to the conveyor was very limited and working conditions were therefore difficult. 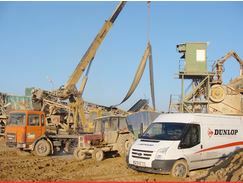 A crane was needed to remove the old belt and also to get the vulcanizing press in site on the conveyor in order for the splice to be carried out. Belt life has been increased from two weeks to six months. 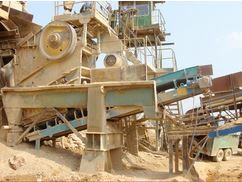 After using the Trioflex, the quarry decided to choose our heavy-duty UsFlex 630/1 6+3 RS belt. It resulted in extending the conveyor belt lifetime even further, to as much as one year.